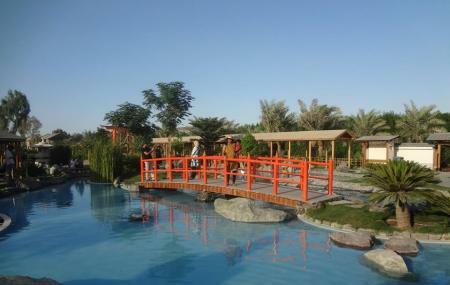 Arman zoo is a mini-zoo in Bahrain. It houses a number of animals and birds which poses as an opportunity for children to learn. Right from dogs, goats and cows, to camels, deer and crocodiles, animals have made this place their home. People-friendly birds make up for an entertaining time with hornbills eating off of your palm and the mighty peacock performing his special dance for you. Enjoy your visit at the Arman Zoo. Create a flawless plan, make use of Al Jasra trip planner. You won't miss your home when in Al Jasra, hotels in Al Jasra like Hani Royal Hotel, Mercure Grand Hotel Seef / All Suites, Swiss-belhotel Seef Bahrain and Gulf Court Hotel offer some of the best places to stay in the city. If you want to add the visit to Arman Zoo in your trip, you can choose from the variety of Al Jasra vacation packages that can be designed to suit your preferences. These packages also cover your major concern of how to reach Al Jasra. Love this? Explore the entire list of places to visit in Al Jasra before you plan your trip. Fancy a good night's sleep after a tiring day? Check out where to stay in Al Jasra and book an accommodation of your choice. When I lived I the area we used go there on weekly basis friendly staff small nice zoo, excellent for kids. Nice little animals farm. The owners need to pay more attention to animals welfare and maintenance. Kids may ride ponies, walk dogs, and feed animals. My kids had a blast doing these activities. It's a safe place for those who have little children since it's not spacious, however it's filthy.